By putting on elytras you always lose the ability to protect your body from enemy arrows and other hits. 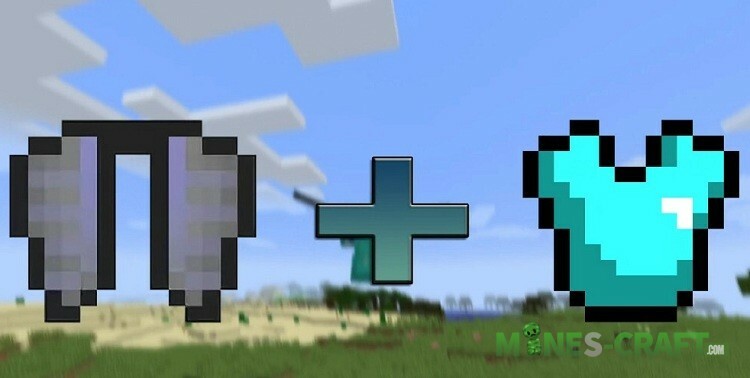 This greatly affects survival, your defense is reduced many times and you won’t be able to fight with some fairly strong mobs. 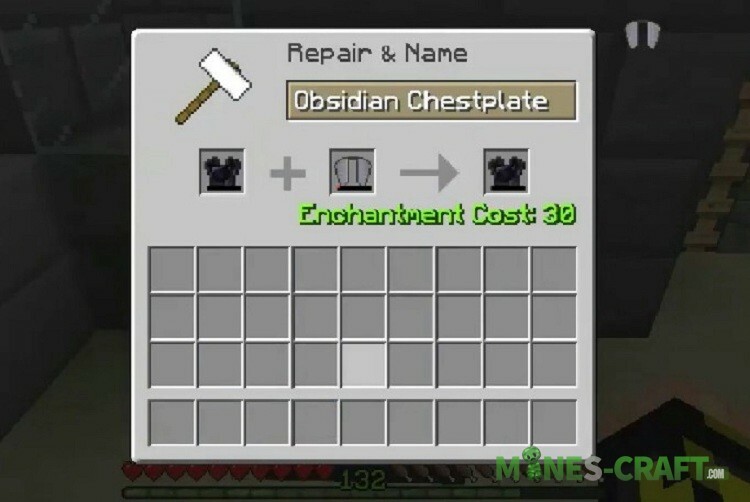 The Colytra Mod knows this flaw and ll try to fix it. 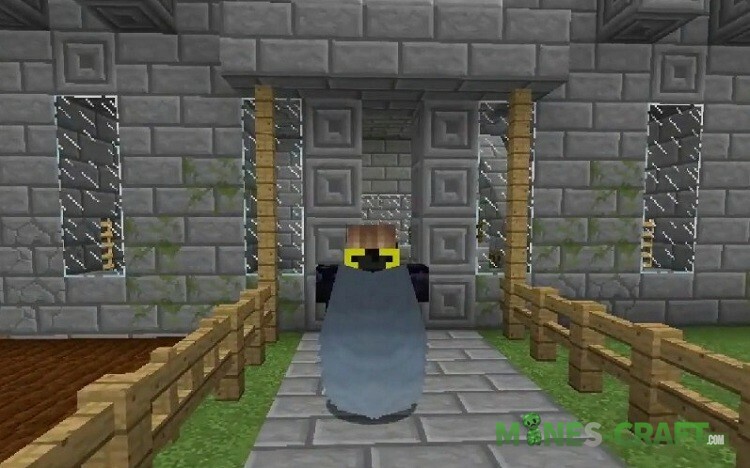 From now on, you can attach the elytra wings to your breastplate so that both of them will work. Everything is easy and simple, you can perform several actions and your chestplate will receive additional wings on his back in addition to the ability to protect his master from the threat. 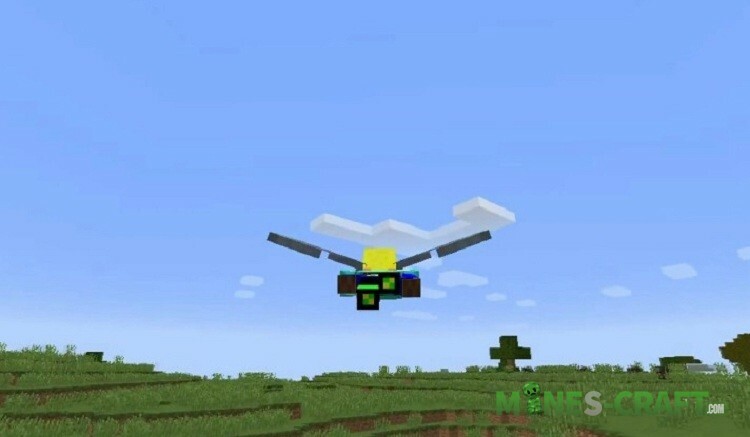 For example, connect the elytra together with an iron armor and you’ll get a fairly strong set with an extra fly ability. You’ll need an anvil where there is a new functionality. Put the elytra in the slot and complete the forging process. 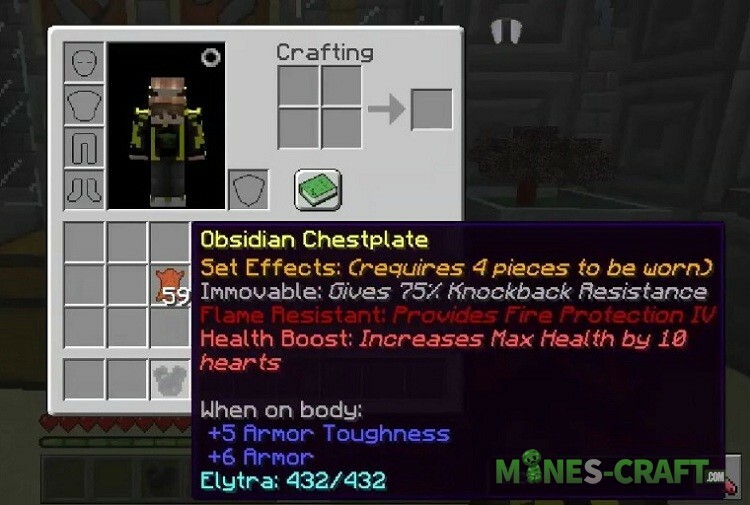 After receiving the finished armor and putting it on, you’ll see the elytra on the back and the armor status in the center of the screen.